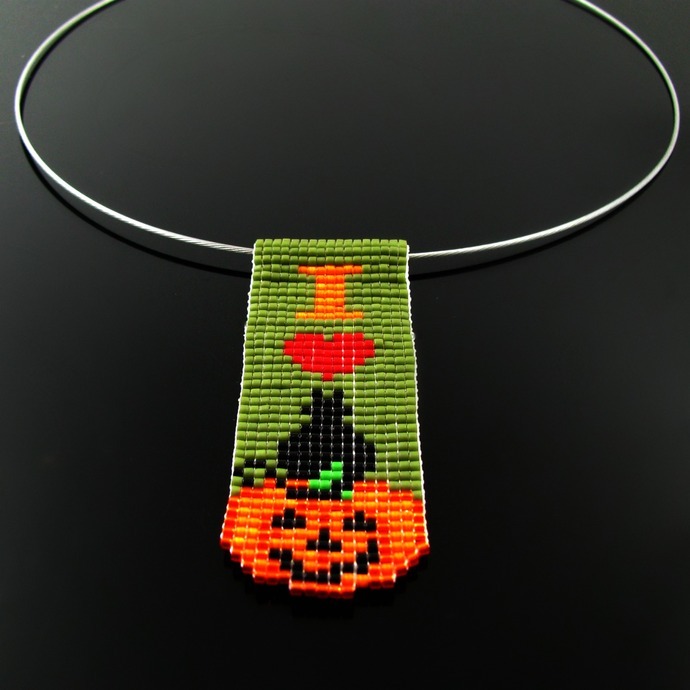 Do you love Halloween as much as I do? Why not show it with this unusual pendant? 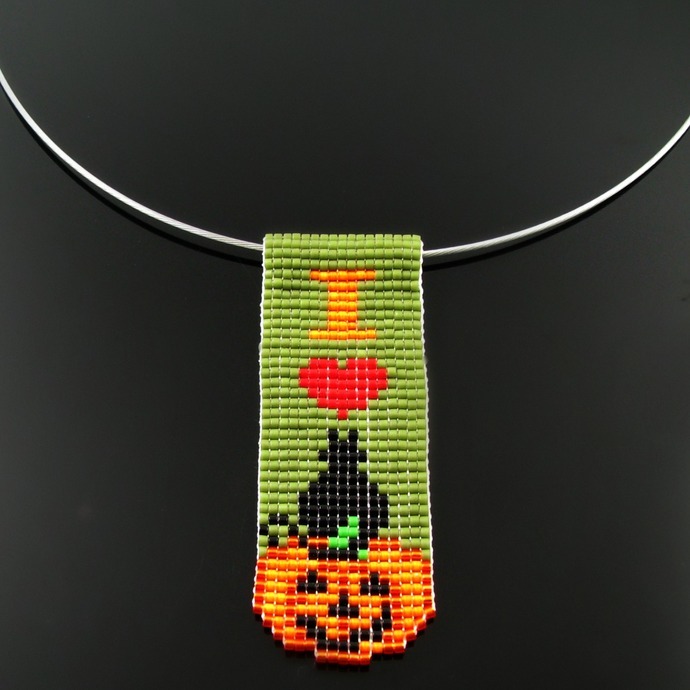 It is made from Delica beads on a bead loom and gets the message across clearly with "I ♥" and a black kitty sitting on a grinning Halloween pumpkin. 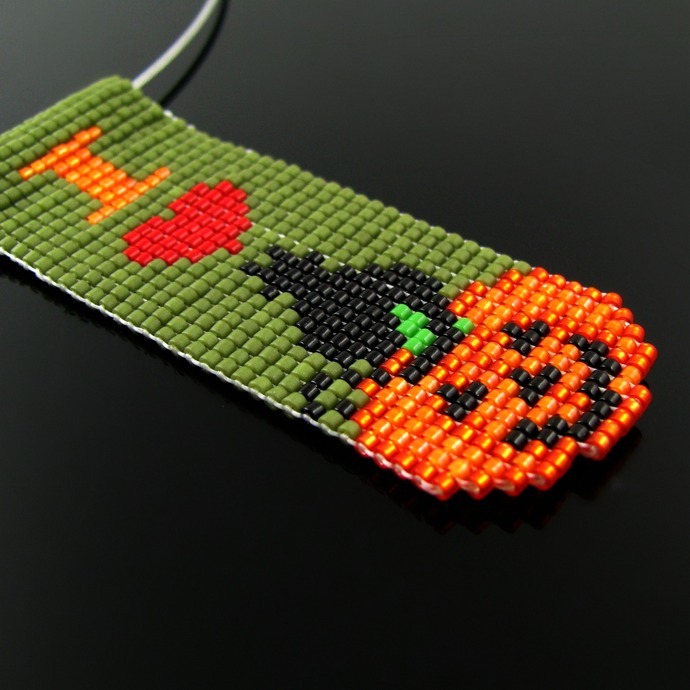 The pendant is 7 cm or 2 3/4 inch long. 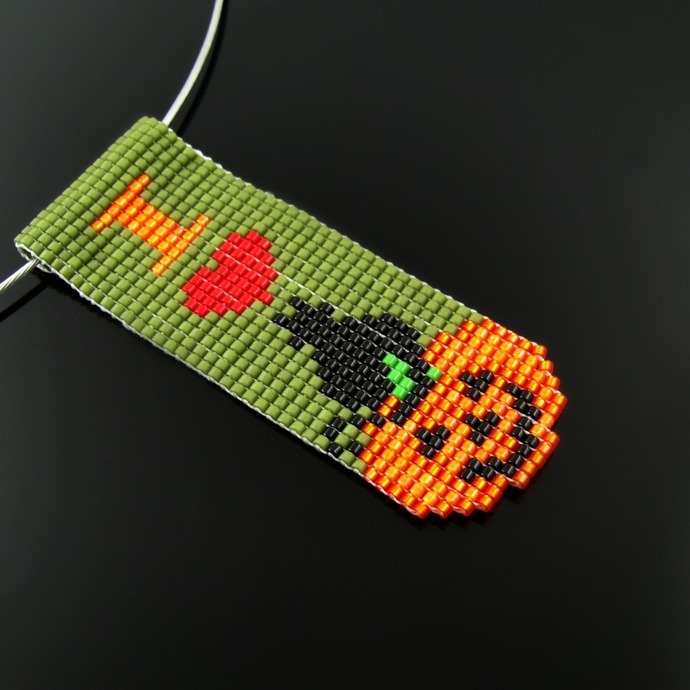 The top has been sewn up to form a kind of tube bail for using with a chain, cord or neckwire. The neckwire pictured is not included. 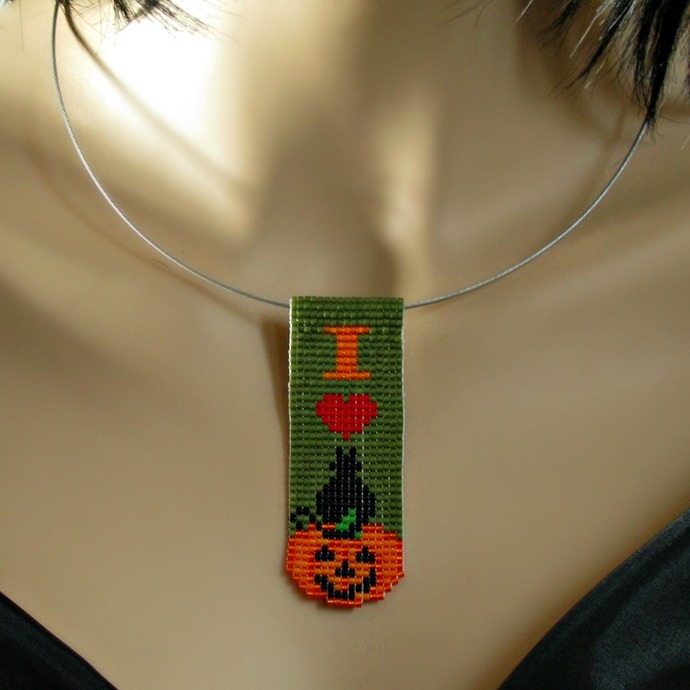 There will be more Halloween and more "I ♥" pendants in my shop soon!